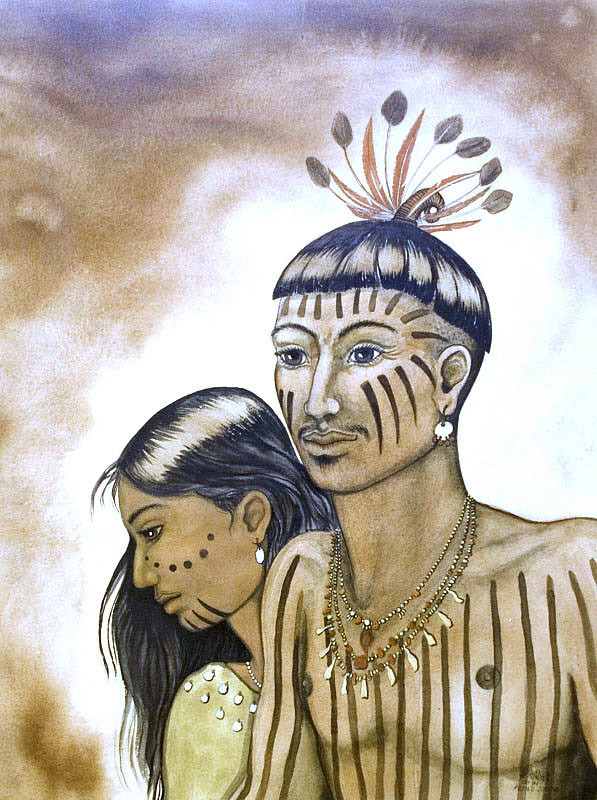 Artist depiction of a Jumano couple. Both are painted or tattooed, a characteristic of Jumano people. The man’s elaborate headdress and shell and stone ornaments might be similar to that worn by an Jumano leader on a ceremonial occasion. This 1994 painting by artist Feather Radha can be seen in Restaurante Lobby's OK in Ojinaga, Mexico. Courtesy Elsa Socorro Arroyo.